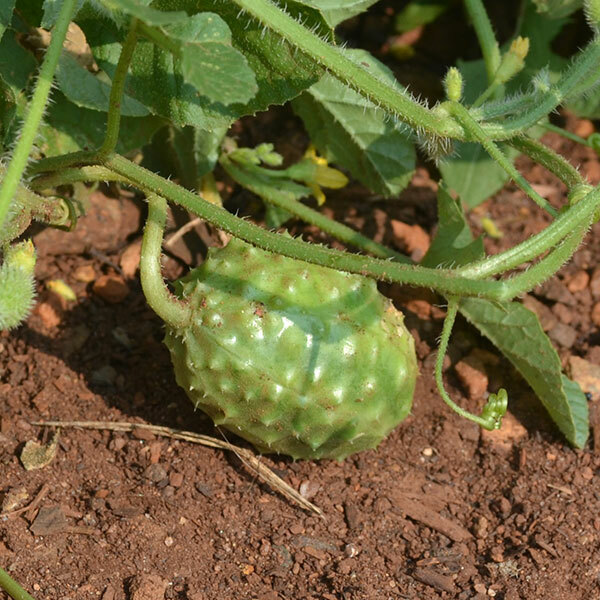 The “gerkin,” which bears many small, cucumber-like fruits covered in blunt spines, was a common crop in the Monticello vegetable garden. Jefferson recommended it to his brother, Randolph, in 1813: “the season being over for planting everything but the Gerkin. 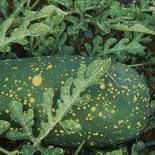 It is that by which we distinguish the very small pickling cucumber.” This was likely the West Indian Gherkin, a native of Africa brought to the Caribbean through the slave trade, then reputedly introduced from Jamaica in 1792 by Richmond seed merchant Minton Collins. 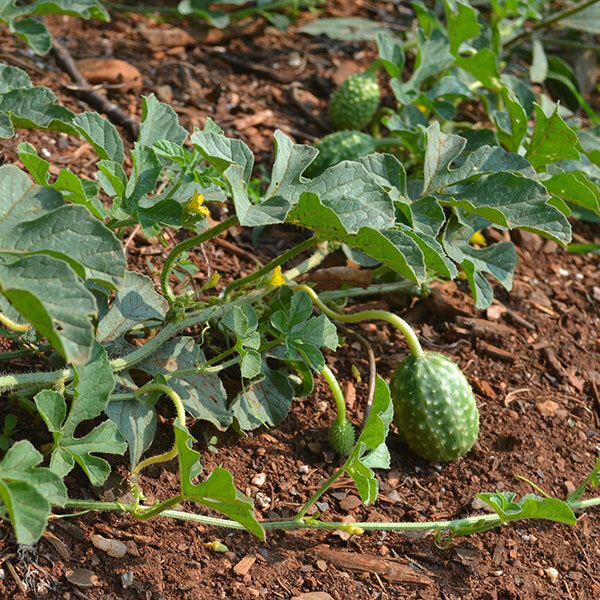 Direct sow seeds in hills or rows after the last spring frost; for hills, sow 6-8 seeds per 12”-wide hill, then thin to the best 3 plants per hill. The long, vigorous vines benefit from a support structure. 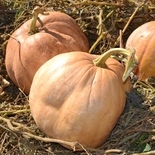 Harvest when 1"-2" around for eating fresh, cooking or pickling. Approximately 25 seeds per packet.